The new Google Assistant feature curates agendas, reminders, movie/restaurant reservations and other notifications for a user. This information is changed depending on where the user is and the time of the day. 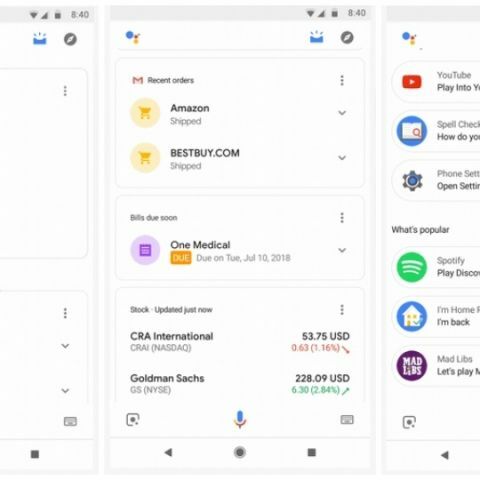 Google Assistant is now receiving a new visual overview feature which will help users keep track of all their tasks and to-do activities in one place. The new feature is called ‘visual snapshot’ and it looks like the company amalgamated the smart assistant’s capabilities with Google Now. Upon launching the Google Assistant app, users will be shown “proactive suggestions and personalized information" to help them stay on top of their day. Navigation and travel times are given priority and are right at the top. Scrolling down, users will see their agendas, reminders, movie or restaurant reservations and less important content like stock prices, upcoming bills, packages in transit, and suggestions for new Actions are placed further down. Google says that this view and the data shown will vary based on the time of the day, user’s location, and recent history/interaction with the Assistant. The new feature will be rolled out over this week and will be available on Android and iOS devices in all languages supported by the Google Assistant. For iOS users, the new view will be shown when the assistant is booted up and on Android phones, users can access it by tapping on the inbox-like button on the top-right corner of the screen. 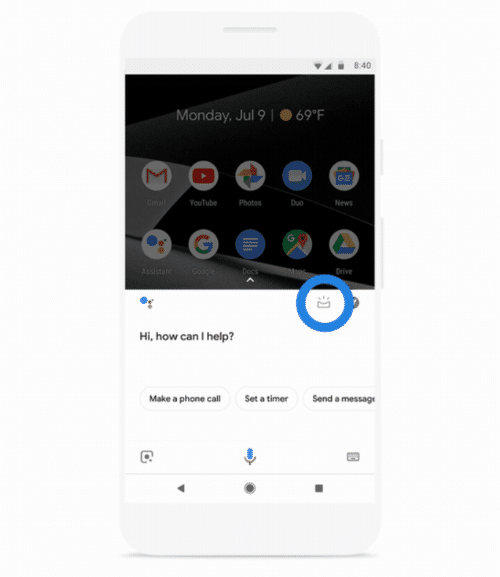 Google states in its blog post, “The Google Assistant can also send proactive notifications on your phone to remind you of important upcoming events. You can get notifications for upcoming bills, packages, even an alert that your flight has been delayed—your Google Assistant will keep track so you don’t have to.” The company plans on expanding the feature over time to show additional relevant data to a user like an overview of their notes and lists from Google Keep, Todoist and other note-taking apps. There will also be a new discovery section for finding new nearby activities, personalised music, podcast suggestions and reminders of where the user parked their vehicle.